The older I get, the longer it takes for me to get in the mood for holiday decorating. The wreath has been hanging on the door for about a week and I bought some frames at a thrift store with an idea how to use them, but aside from that, no decorating has been happening chez moi. 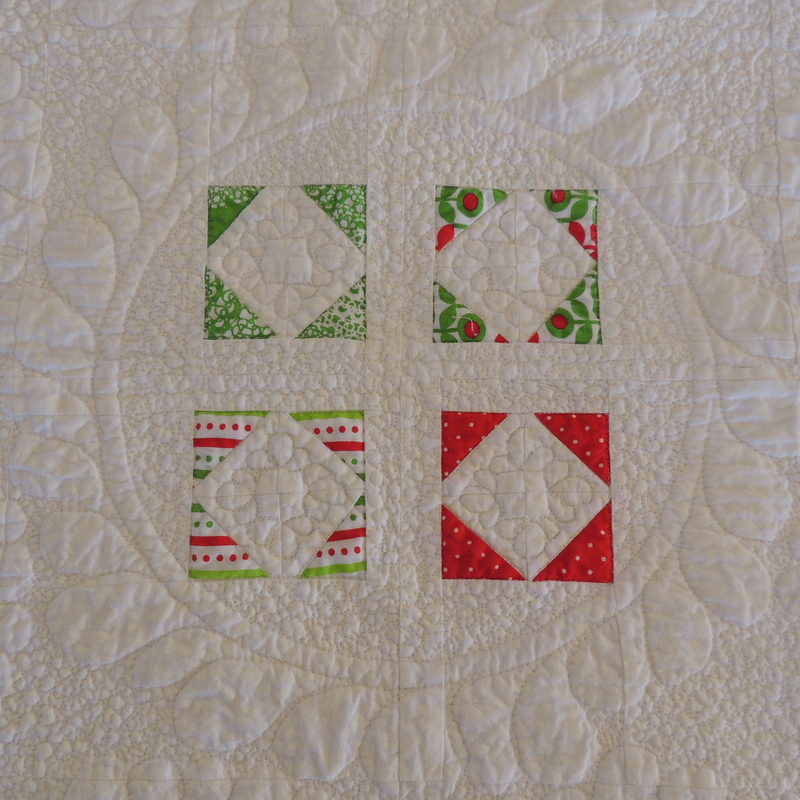 Last night, I stitched down the binding on my little idea for our rectangular blocks. Putting it on my small dining table this morning nudged me in the holiday direction. 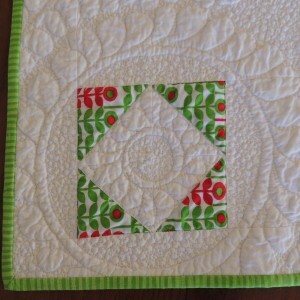 Here’s how my 30 inch square quilt looks this morning, hanging in the studio. 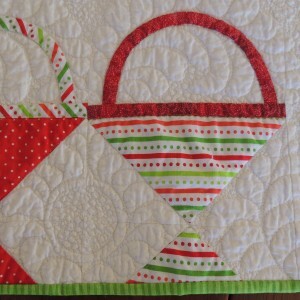 Here are some close-ups of the quilting in the corners, around the baskets and in the center. I used a stencil to mark the 2 inch wreathes in the little boxes … and it looks like the markings didn’t completely wash out. Now, I feel ready to decorate. Maybe I’ll be back with a more festive photo … in the meantime, here it is on my table. It fits! I think your topper is wonderful and it certainly puts me in a festive mood! 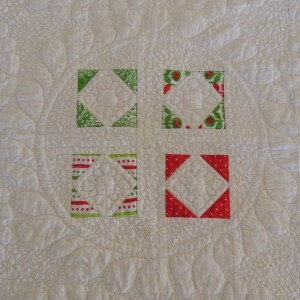 Sophie this is so pretty and a transition from Christmas theme to Spring and Summer garden would be simple for this piece! I wouldn’t put this beauty away! THis is a great quilt. 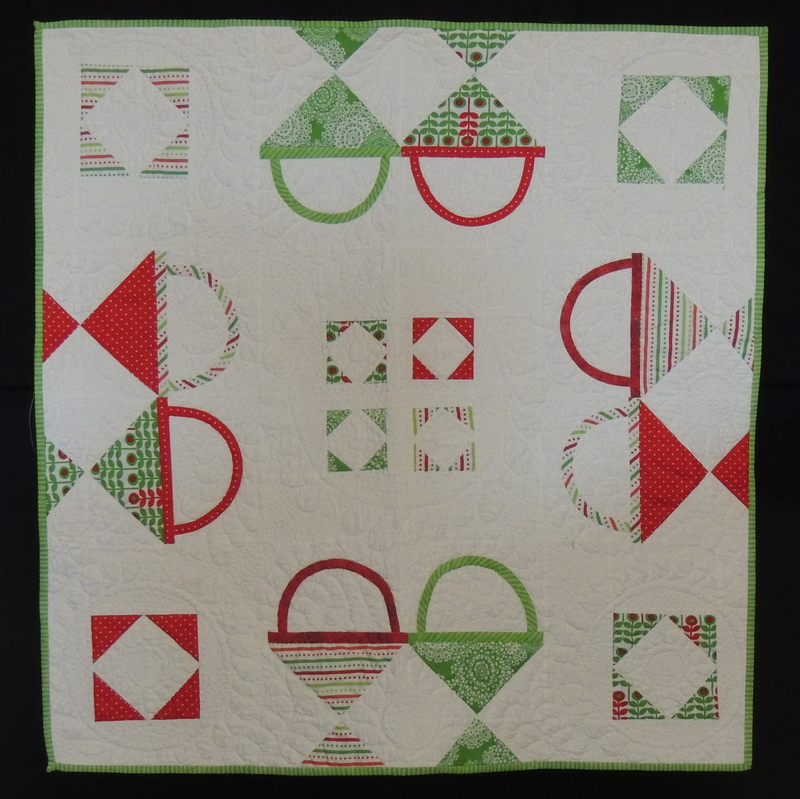 Love the quilting – looks like one of those embossed stamps was used on it. 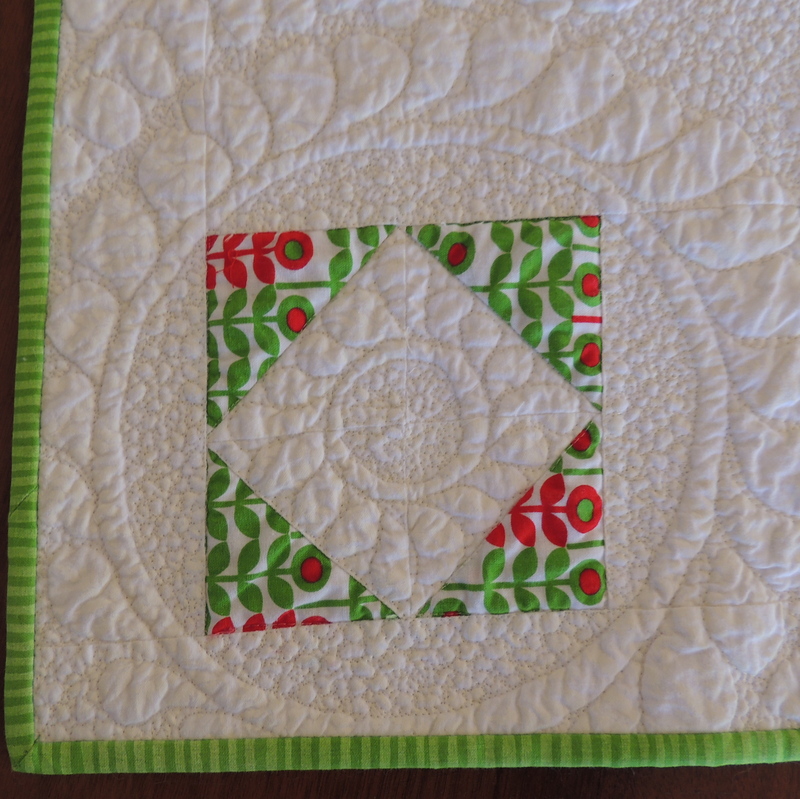 You are churning out wonderful quilts.